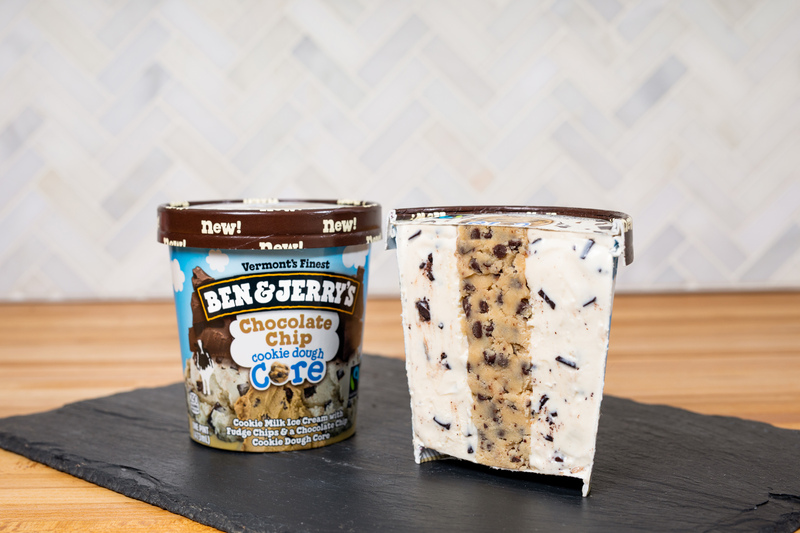 BURLINGTON, Vt., April 3, 2019 /PRNewswire/ -- It's happening: Ben & Jerry's is launching JUST the dough! 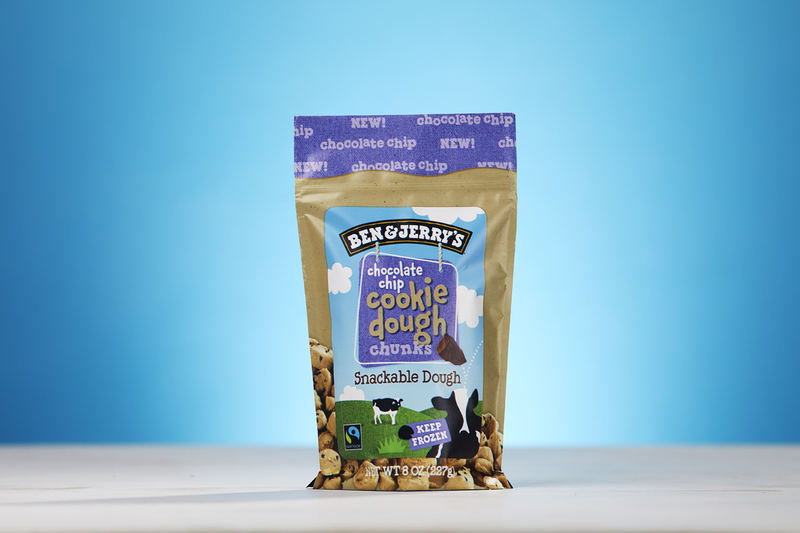 Chunk Spelunkers who seek out chunks of cookie dough can now enjoy all the chunks sans spoon! 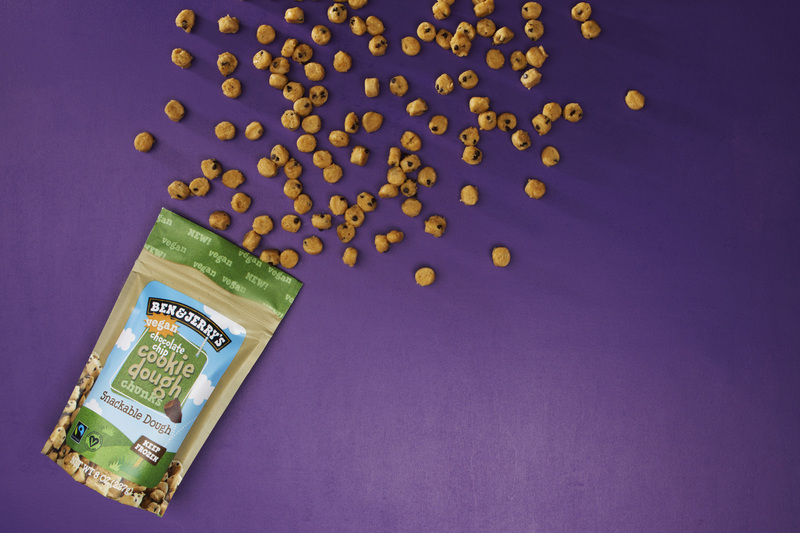 Ben & Jerry’s Peanut Butter Chocolate Chip Cookie Dough, Chocolate Chip Cookie Dough and VEGAN Chocolate Chip Cookie Dough snackable chunks hit shelves this April. 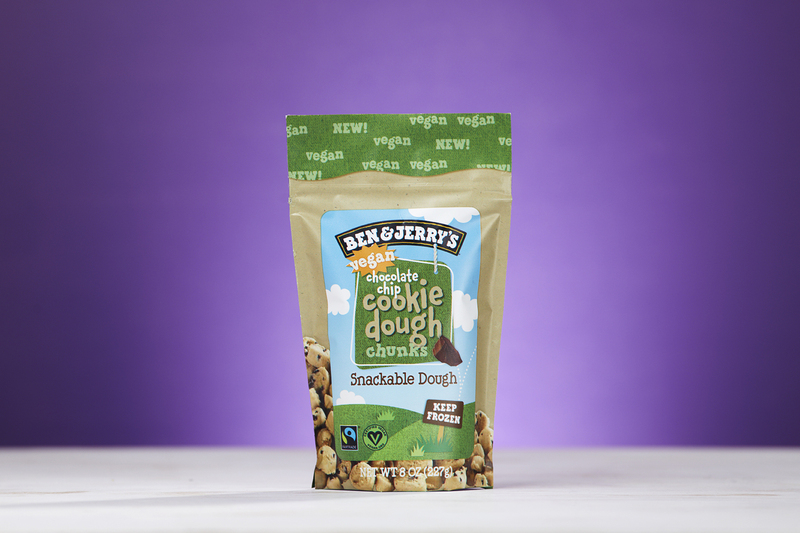 Chocolate Chip Cookie Dough and Peanut Butter Chocolate Chip Cookie Dough and Vegan Chocolate Chip Cookie Dough Chunks will be available in retailers nationwide, starting in April. The dough chunks come in ½ lb. 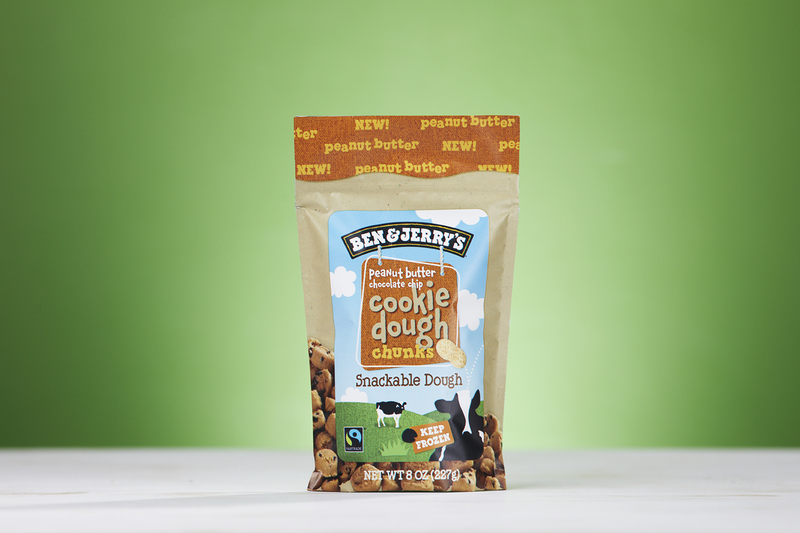 bags, each with eight servings of the exact same dough found in Ben & Jerry's iconic ice cream flavors. It's safe to eat raw because it contains pasteurized eggs and heat-treated flour. 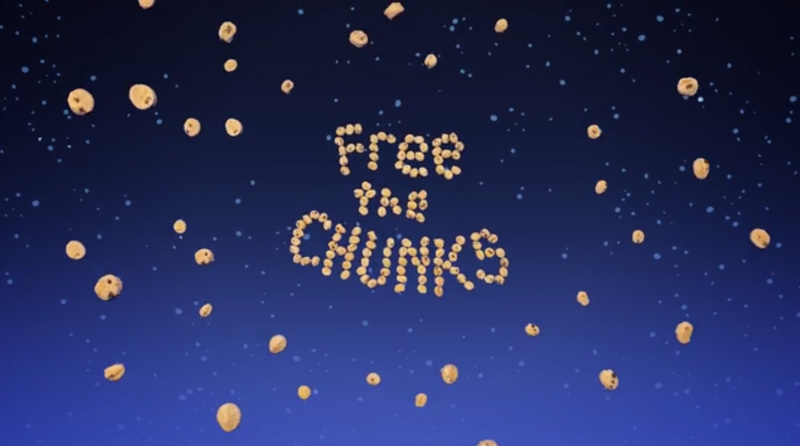 "Fans have been asking for 'just the chunks' for a while now," says Innovation Manager Jody Eley. "During a short market test in Vermont last summer, fans snatched up the dough in record time. 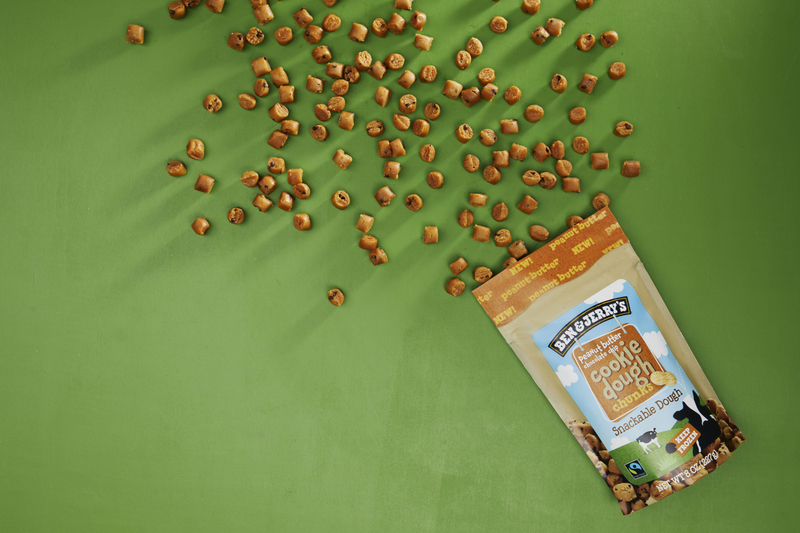 Bags flew off the shelves in mere days and stores could not keep the delicious dough bites in stock! 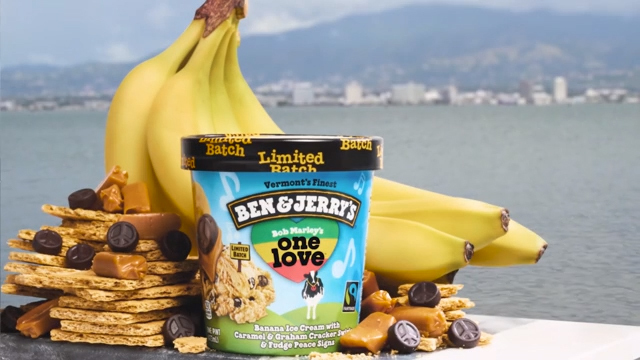 Now, Ben & Jerry's is rollin' out the dough to fans across the US." 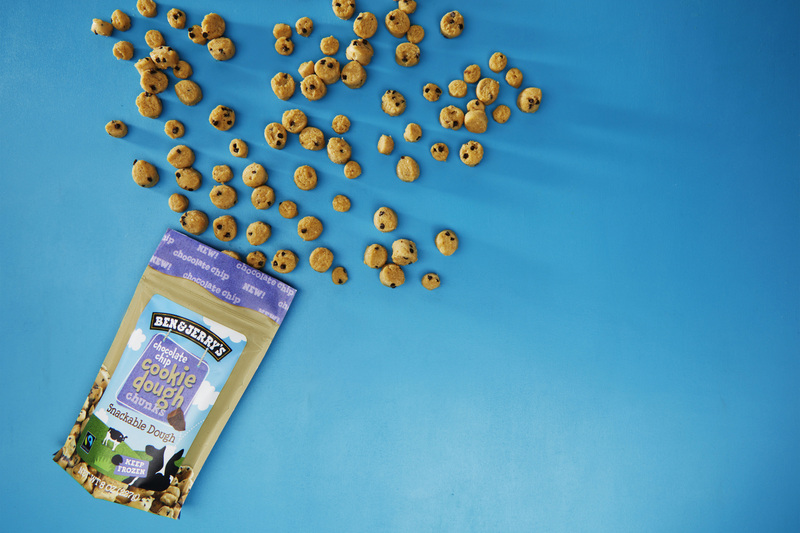 The idea of putting cookie dough into ice cream originated with Ben & Jerry's back in 1984, and it's the company's #1 favorite flavor around the world.